This week I got a behind-the-scenes look at No. One Eloff, an exciting new development project in downtown Joburg. No. One Eloff, at the corner of Eloff Street and Wemmer Jubilee Road in Johannesburg. You can’t miss it, as it’s the only neon-blue-and-yellow building in town. You’ve probably seen it while driving down the M2 highway toward the airport. No. One Eloff is a huge, 1950s-era building that used to be an automotive storage/sales facility (for Rolls Royce and then for Chrysler) and later became an OK Bazaar and then an auction house for repossessed cars. A couple of years ago, a company called Molten Black purchased the building, with the plan of turning it into a residential/retail property. That plan is now in full swing. This building, which was basically a huge garage when Molten Black bought it, has been converted into an apartment building with 300 loft-style apartments. 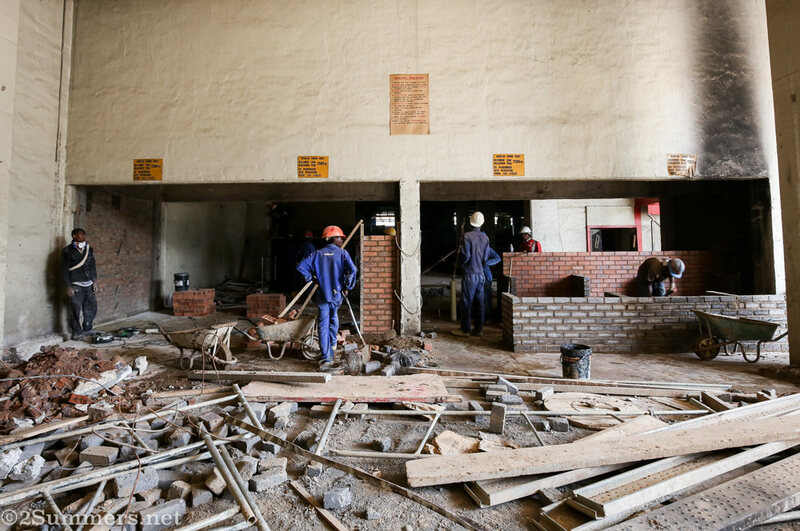 These apartments, which target young South Africans earning in the range of R10,000 to R15,000 (roughly $650-$1000) per month, are now for rent and the building is already about half occupied. Webster Maboka, the friendly doorman in the No. One Eloff lobby, which is already complete. I dig Webster’s three-piece suit. Inside one of No. 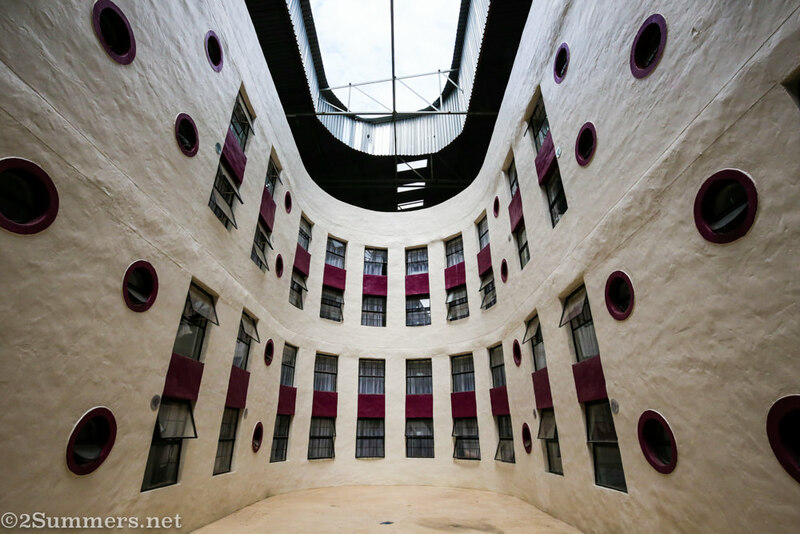 One Eloff’s interesting indoor courtyards, which were recently built from scratch with the loft apartments surrounding them. Geoff Jardine, who heads up the No. One Eloff project for Molten Black, in one of the building’s other courtyards. A nearly finished residential hallway. Apartments on the south side of the building overlook the Faraday Muti Market, which I blogged about several years ago. I am so fascinated by this place that I spent all my time photographing the market through the apartment window, and forgot to take photos of the actual apartment. 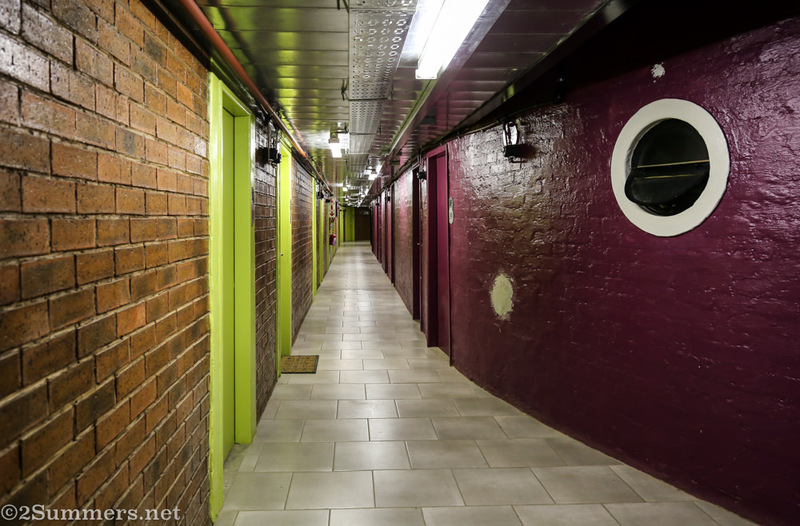 If you want to see what the apartments look like (they are extremely cool), visit the Molten Black website. In addition to the residential apartments, No. One Eloff is going to include office space, artists’ studios, and a multifaceted retail complex on the lower floors, including: bargain shops; upscale stores; events space; and (most exciting for me) a wide variety of food, coffee, and other edible offerings. 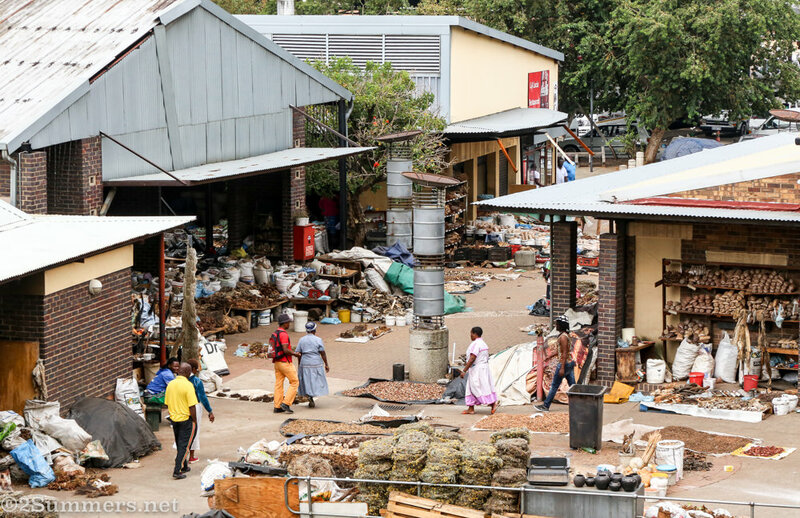 Visitors will browse the dining and retail offerings via a private, open-air alleyway, to be named Joziburg Lane. 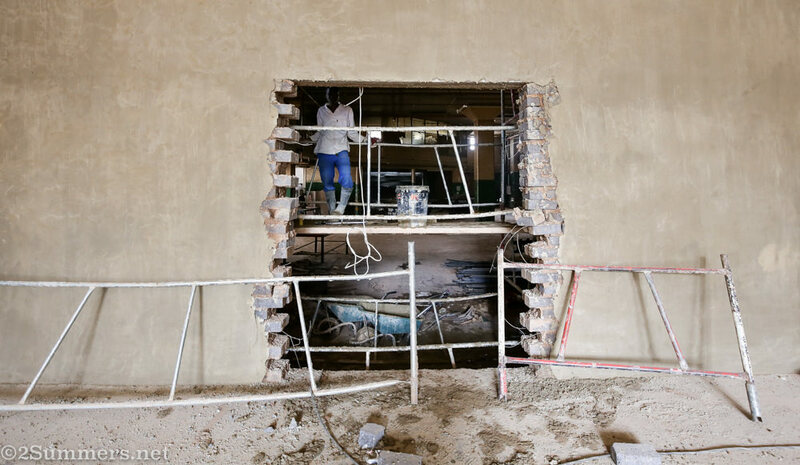 Joziburg Lane will include (among other things) middle-to-high-end dining and deli stalls, a bar, and a mezzanine-level seating area where people can eat and look down on the action. Joziburg Lane is under serious construction at the moment but it’s transforming quickly. This section is set to become a “pocket park” where people can sit and relax among some greenery. 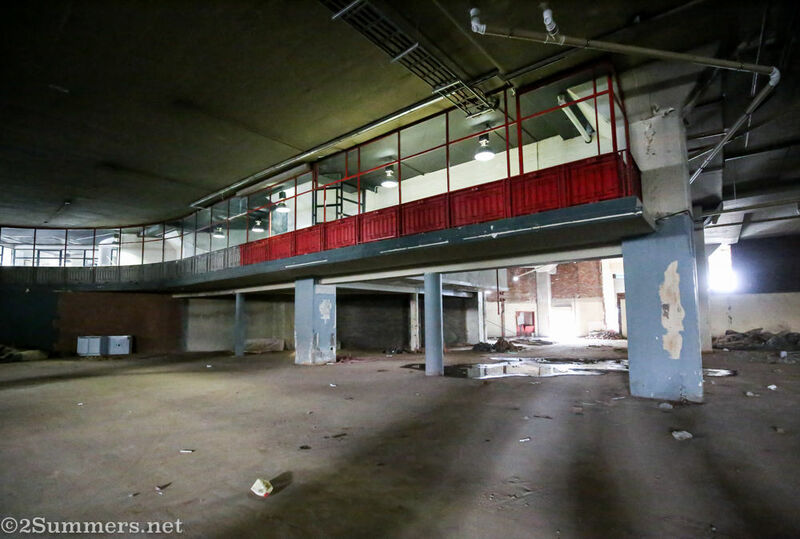 An early look at what will soon become the food hall at Joziburg Lane. No. One Eloff’s ground floor space is absolutely huge. 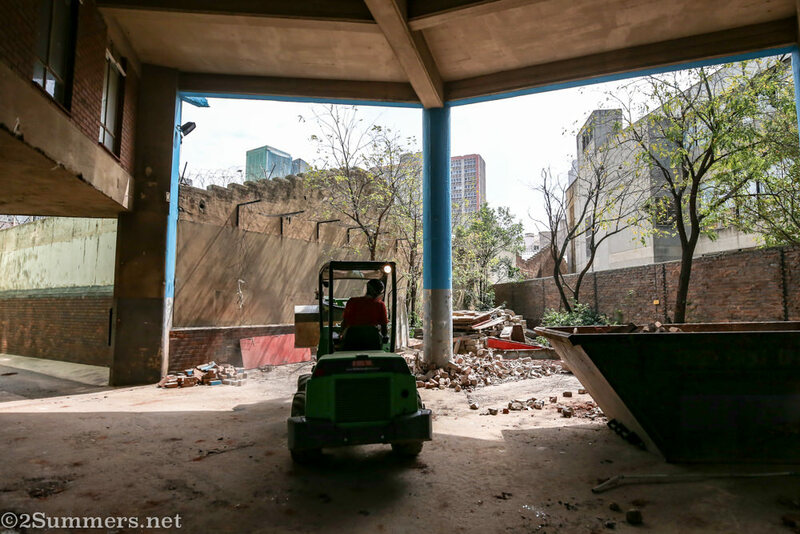 The space I was standing in when I took this photo will be part of the Joziburg Lane events hall. 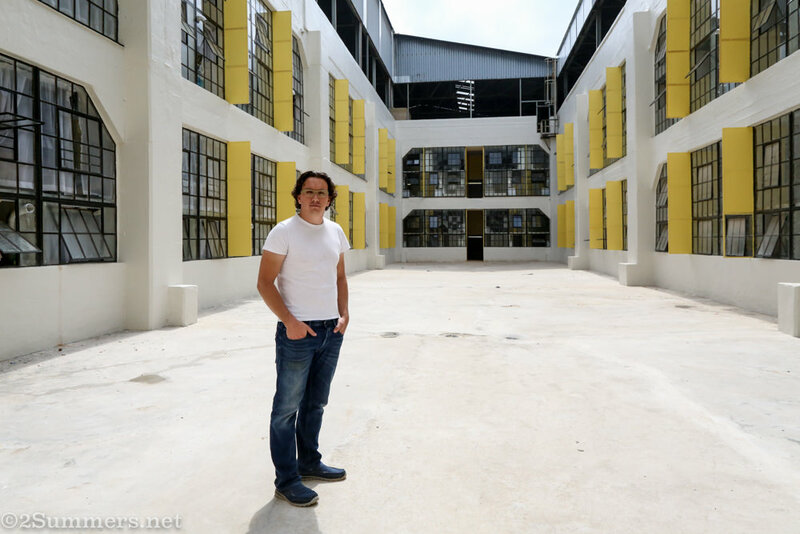 The level above will be office space, and the open area in front will be part of a “Bangkok-Style” bargain shopping mall. It might not look like much now. 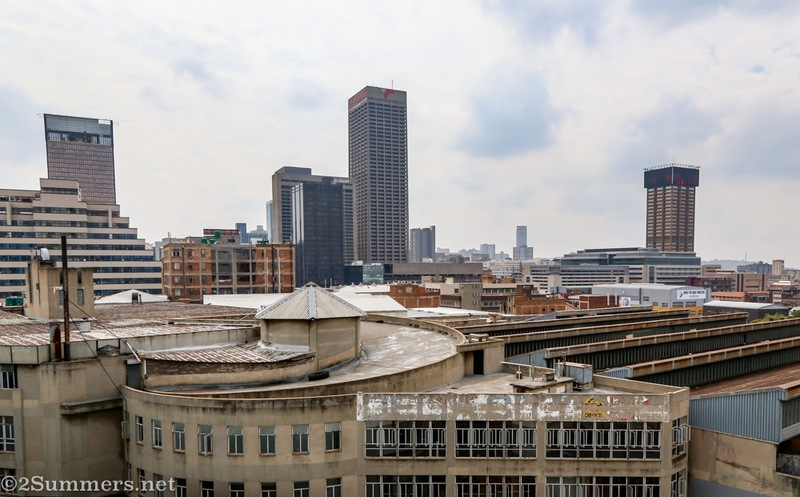 But give it a few weeks: Change happens fast in Joburg. Joziburg Lane will be run by Gerald Garner, of JoburgPlaces and previously of the Sheds @1Fox. If you spend any time at all in the Jozi inner city, then you probably know Gerald through his guide books or his walking tours or his presence at 1Fox. 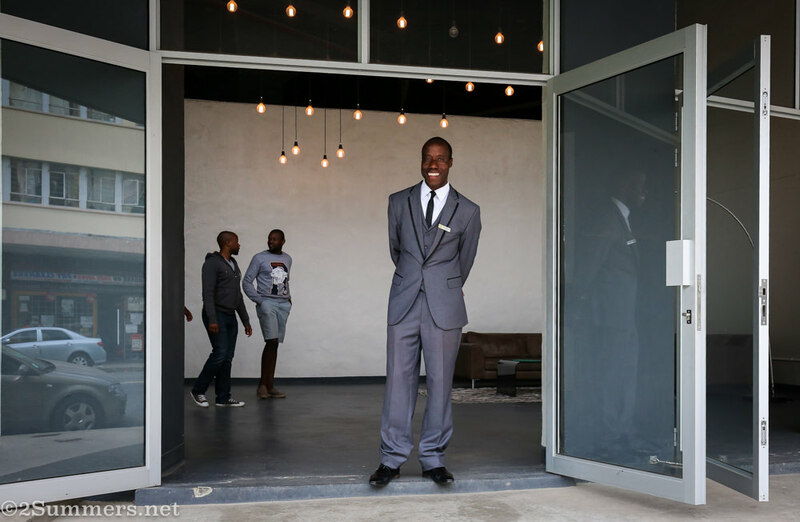 There is no greater advocate than Gerald for living, working, and having fun in downtown Joburg, and his involvement in this project pretty much guarantees non-stop Joburgian-style excitement at No. One Eloff. Another look at the outside of No. One Eloff. View of downtown Joburg from No. One Eloff’s rooftop-level parking garage. I had a long chat with Gerald and Geoff about their plans for No. 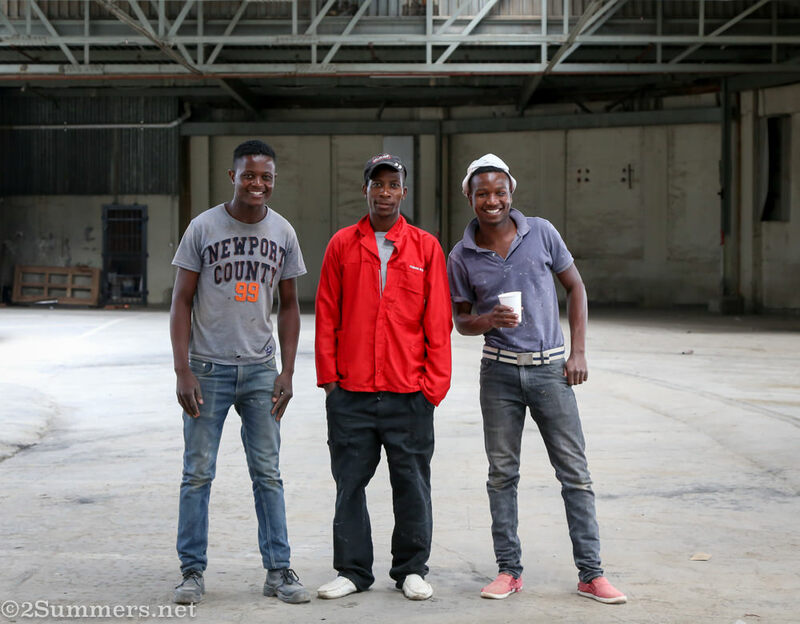 One Eloff and their thoughts on what makes this project different from other urban regeneration projects in downtown Joburg. And as I walked around, I felt myself getting excited and forming thoughts of my own. I think it’s best to save those thoughts for later, once Joziburg Lane and the rest of the retail space starts to open. By the way, despite the chaos in these photos, Joziburg Lane will open soon. The Joziburg Lane Festival is scheduled for the last weekend of May, and more pop-up events are planned throughout the winter until the project’s full-scale opening on 1 August. Follow Joziburg Lane on Facebook to stay on top of things. If you’re interested in opening a stall at Joziburg Lane, contact Koketso at koketso@joziburglane.co.za or Gerald at gerald@joburgplaces.com. 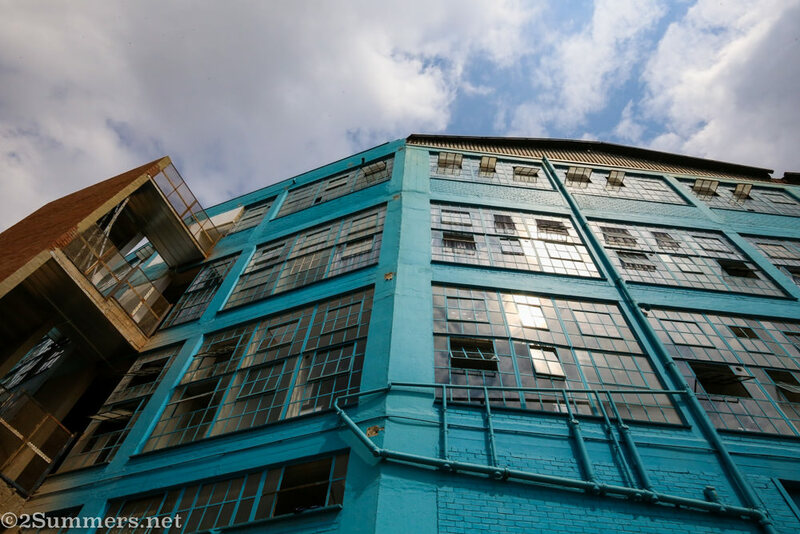 If you’re looking to rent an affordable apartment in downtown Joburg, or if you’re looking for retail, office, or studio space, contact No. One Eloff now. My favorite photo from this week’s visit. Tawanda (left), Patrick (center), and CB (right) are currently working on the construction of No. One Eloff. Someday soon, they will probably be shopping and eating (and maybe even living) there. I’ll have more to say about No. One Eloff and Joziburg Lane in a future post. interesting stuff happening in Jozi. I love all these pockets of exciting developments in Jozi and can’t wait for the opening of this one. I know, things are starting to come together in the CBD! 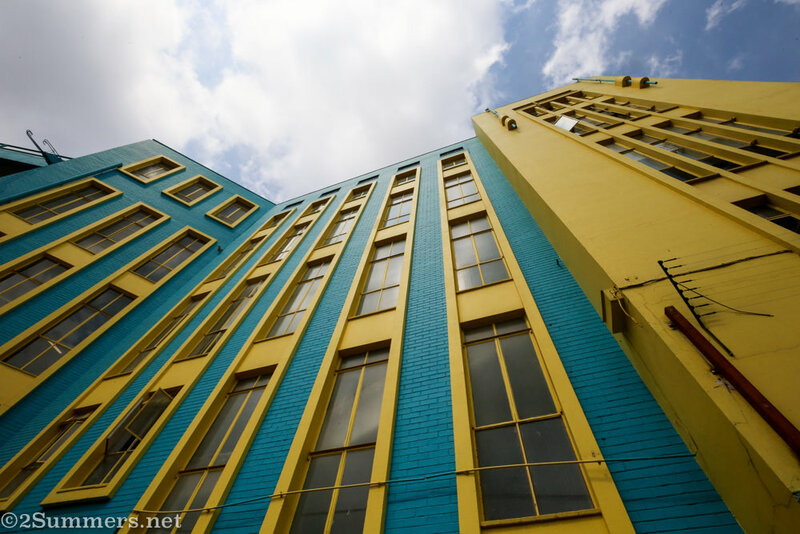 I cannot get over how colorful the buildings are in Joburg. They are completely different from our grey buildings — alive with character — and the architecture seems avant garde also. Is it culturally typical, or merely a unique attribute of the city? I could be mistaken, but I think the colored buildings are a relatively new thing in Joburg. It’s something that started to happen over the last decade or so, as buildings have started to be ‘reclaimed’ after the total breakdown in the city centre in the 1990s and 2000s. At least that’s my theory. I agree though – it’s awesome. Depends at which time period one looks at, during the height of the CBD, the old Victorian buildings where actually really colourful. I have lived in J’oburg all my life, and I have finally found a site that showcases us not as an example of urban blight but rather rejuvenation light! I’m glad you found your way here! I’m excited and I don’t even live there. What a creative and magnificent space! Looks like urban planning done right! I think so too. I can’t wait for everything to open.